A Link Belt HC-268 places a replacement railroad bridge in this project. The road is at an angle, the piers and railroad tracks are at a different angle and the elevation is raised. 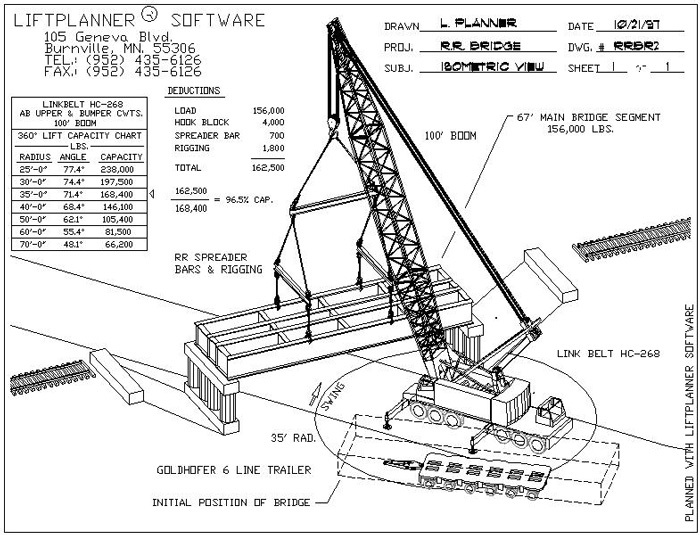 LiftPlanner makes it easy to model this challenging jobsite. Note the complex rigging arrangement to lift the bridge section.